This year’s theme for World Water Day is “Nature for Water”, with a focus on finding nature-based solutions to the water challenges we face. The UNDP supported ‘Climate Resilient Integrated Water Management Project (CRIWMP)’ is one such example of using nature based solutions to improve irrigation of water tanks in the Northern, Eastern, North Western and North Central Provinces by investing in improving the community irrigation water infrastructure, scaling-up decentralised drinking water systems, and strengthening early weather warnings, flood-response, and water management. This seven-year project (2017-2024) is aimed at strengthening the resilience of Smallholder Farmers in Sri Lanka’s Dry Zone to climate variability and extreme events. 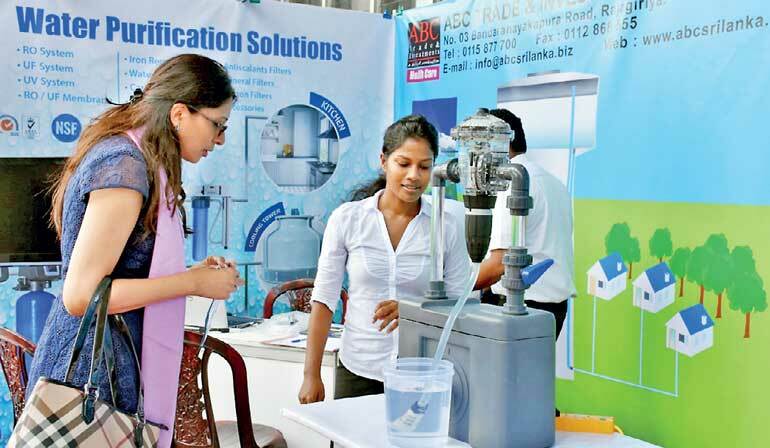 To support water purification under this program, a Trade Fair on Advanced and Appropriate Water Treatment Systems to treat water in locations with serious water quality issues was held at the Red Verandah, BMICH in commemoration of World Water Day 2018, where nine companies showcased nature-based solutions, in parallel with alternative approaches, in water treatment technologies and practices. This was initiated by the Green Climate Fund (GCF) supported Climate Resilient Integrated Water Management Project (CRIWMP) together with the World Bank assisted Water Supply & Sanitation Improvement Project. The above two Projects aim to improve access to potable water by enhancing community-managed rural water supply infrastructure including advanced filtration and treatment systems with appropriate disinfection processes. The Ministry of Mahaweli Development and Environment, the Ministry of City Planning and Water Supply, National Water Supply and Drainage Board, Department of National Community Water Supply, Presidential Task Force on Prevention of CKDu Ministry of Science and Technology, University representatives, private sector contractors are a few of the stakeholders who participated at this trade fair. With the advancement of Nano technology and other innovative water treatment technologies; many new water treatment options have been developed both locally and internationally. 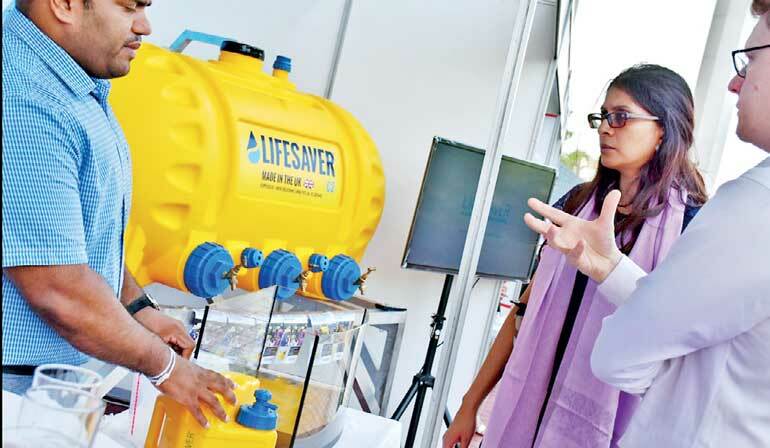 This trade fair explored the best solutions to address drinking water concerns at a community level in the dry zone of Sri Lanka.